Once again it’s that time of the month when you get to hear both Jazz and Folk at the Jazz Co-op’s venue at the Globe in Railway Street. Open Mike, show how versatile you are, play both or either or come to listen. PA, piano and drumkit provided, just bring your instrument, which includes voice. Free entry, Raffle £1, 8pm, Thursday July 2. A 4 day pop up venue for this years Brass festival in Durham (July 16 - 19). 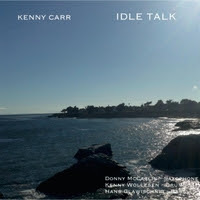 CD Review: Kenny Carr - Idle Talk. Kenny Carr (gtr); Donny McCaslin (ten); Kenny Wollesen (dms); Hans Glawischnig (bs). Kenny Carr spent ten years touring with Ray Charles, a span that only ended with the death of the blues maestro. McCaslin - feature article in this month's Downbeat - paid his dues at Berklee, with Gary Burton, stepped into Michael Brecker shoes in a reformed Steps Ahead before landing in the Maria Schneider Orchestra. Audience of reasonable size (not packed out like it could have been, but hey, it was a Saturday night…..) However, the band gelled and Lindsay was on form. We’d have settled for nothing less! The (planned & advertised) Jam Session was something different. Only a few musicians brought their instruments, and after the audience removed themselves to the lower bar area, there was but one keen jammer with trombone in hand. And, after he’d blown out his Birthday Cake candle, it was time (shortly before midnight) for Joe Fowler to call a few tunes. The absence of drums could have left a big hole in the proceedings, but the arrival of James Harrison allowed a piano accompaniment (striding like a maestro!!!) which filled the space very nicely! Vocals from Lindsay, Joe F and at one point John Pope kept everyone on their toes. Hummersknott Academy, located in a leafy Darlington suburb, hosted Darlington Jazz Club’s big band night featuring the superb Durham Alumni Big Band and the Durham County Youth Big Band. Tony Eales, Bebop Spoken Here’s big band correspondent, as ever, took a front row seat in the Hummersnott rehearsal base and reports a big turn-out for the occasion. Peter Wright (tpt); Lawrence McBriarty (tmb); Paul Gowland (ten); Brian Bennett (bjo/vcl); Dave Percy (bs gtr); Fred Thompson (dms/vcl). A bass guitar with the Vieux Carré Jazzmen?! Shock horror! - Peter Duker (AKA Deuchar), Gassy and Ronnie Robinson must be turning in their graves! However, in the 60 years that have elapsed since the VCJ first introduced New Orleans to Newcastle attitudes have changed. Washboards are out, drums are in. Likewise, the idea of the VCJ with tenor sax as opposed to a clarinet in the front-line would also have been unthinkable to the band's purist founders. Tempus fugit and the current line-up is probably as good as any of its previous incarnations, not least because of Gowland's tenor. This proved to be a really good night of music-making. Starting with a few bars of just voice and bass, through to the final song, about falling in love with the idea of love, by way of loads of great solos from the band and Lindsay in fine voice this was a truly memorable session. The first set comprised songs from the band’s normal repertoire; the second set - new songs. Here's a good opportunity for anyone who plays a bit of jazz and wants to get better ... a whole weekend of listening and playing in the company of others who want to learn and improve jazz skills. The weekend workshop has been developed following the success of our monthly Play Jazz! afternoon workshops held at Sage Gateshead. The weekend format will give participants the time and space to learn more and develop further. There’s also a great gig on the Saturday night and the opportunity to jam with professional musicians. The tutors are James Birkett and Judith Thompson, two superb musicians and highly respected jazz educators. The workshop is suitable for all instruments and a range of abilities. Vocalists are welcome. Minimum age 16. For much of the weekend the participants will be divided into two groups – beginner/intermediate and intermediate/advanced. You’ll be able to improvise and interact with other musicians in an informal supportive situation. Discussing the often asked question as to why musicians rarely go to other musician's gigs the best answer we came up with was that they don't want to let the guys playing the gig know that they don't have a gig that night! 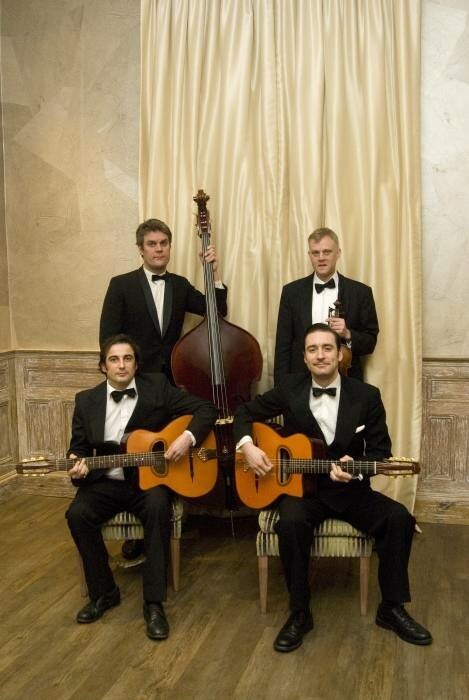 Guitarist Nik Svarc played a trio gig at this year’s Gateshead International Jazz Festival. On that occasion he worked with young guns Martin Longhawn and Steve Hanley. 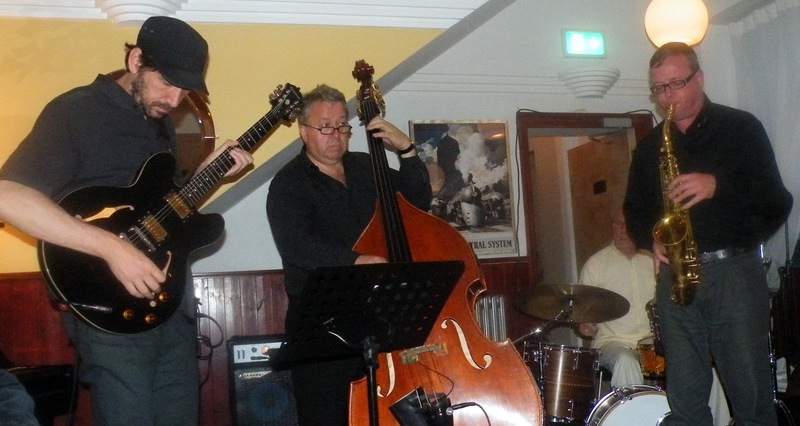 This Jazz Café gig featured groove meisters Scott Devine (bass) and Dave Walsh (drums). A select gathering – including two first year music students – took their seats in time for a prompt nine o’clock start. Le Jazz Hot - C'est Si Bon! 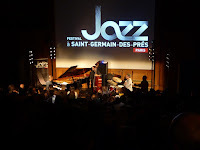 750 people packed the Lecture Theatre in the Maison des Oceans in Paris, paying thirty two Euros a head to see the Shai Maestro Trio present an off the wall programme of modern jazz. This was the “Festival Jazz at Saint-Germain des Pres” in Paris. By chance my good lady had booked us a five day Paris break coinciding with the first part of this two week event and what with that and all the normal Jazz clubs it was wall to wall jazz! Nick Svarc’s Leeds-based power trio successfully brings a variety of influences together to unite modern groove with improvisation. Nick, guitar, was seen on the Concourse at this year’s Sage Festival with his organ trio, Svarc Hanley Longhawn, but works also as a sideman in a number of high profile jazz and pop bands and as a session musician around the UK. His two sidemen, drummer Dave Walsh and bassist Scott Devine are active nationally and internationally as well as teaching in further and higher education, Dave as a Principal Lecturer in jazz at Leeds College of music. 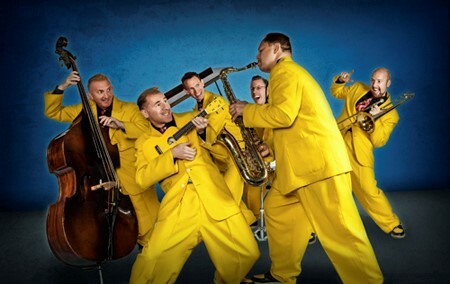 The Jive Aces are set to appear at the biggest UK music festivals this summer, and have just released their 8th studio album ‘Spread a Little Happiness’. 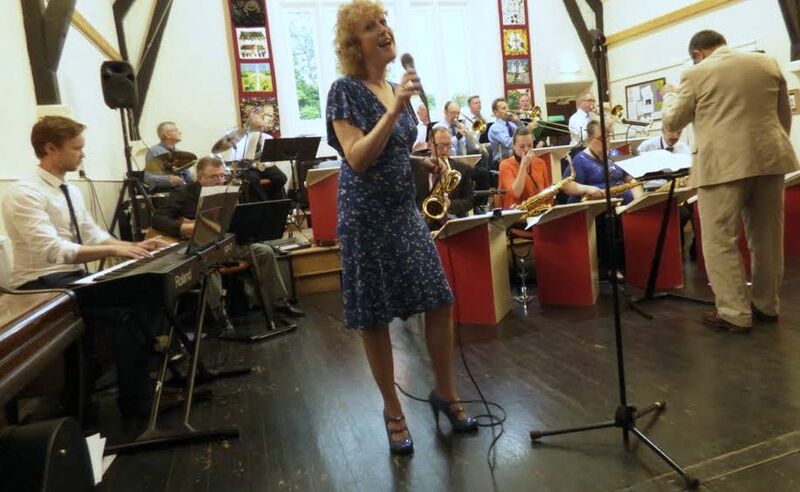 They have established themselves as the UK’s top jive and swing band, and on Friday 18 September play at Chingford in support of the National Jazz Archive. This year’s line-up at Mud Fest (aka Glastonbury) includes some jazz interest. Follow it all on BBC television and radio. Saturday 27 June is the day to catch Mr Gregory Porter strutting his stuff (tune to BBC 2 from 4:30pm, then on the red button). At seven o’clock retune to BBC 4 for Burt Bacharach, followed at eight by Paloma Faith. Mr Wonderful – Pharrell Williams – is sure to be Happy sometime after half past nine (retune to BBC 2). Monday night (June 29) A Strange, Enchanted Boy (Radio 4 Extra, 8:30pm) looks at the life of eden ahbez. Known for penning Nat Cole’s big hit, Ahbez wanted to be known as lower case eden ahbez. cool. Kevin Bachelder (vcl/tpt); Ron Blake (tpt/flug); Jacques Voyemant (tmb); Kim Richmond (sop/alt/clt); Brandon Fields (ten); Daniel Szabo (pno); Angelo Metz (gtr); Edwin Livingstone (bs); Jason Lee Bruns (dms/leader). With so many albums winging their way across the pond it can be easy to overlook a gem or two, particular when, in many cases, the band/artist are not familiar names in the old world. 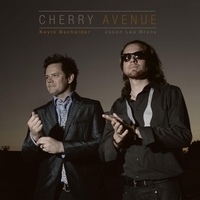 Cherry Avenue is a case in point. Calling all music fans – fancy being a volunteer for one of the world’s largest jazz fests right here on your doorstep? The organisers of the annual Birmingham Jazz and Blues Festival are on the lookout for hands-on volunteers to help distribute programmes for next month’s musical extravaganza that will see 177 live performances in 78 venues – most of them for free. Now in its 31st year, the 10-day event, which runs from Friday, July 3 to Sunday, July 12, attracts some of the biggest names in the jazz world with musicians from Australia, Czech Republic, France, Luxembourg, Lithuania, Sweden and the USA alongside top UK talent. Director Jim Simpson said: “Volunteers play a big role in the festival line-up and we are always on the lookout for spare pairs of hands to helps us distribute the programme. 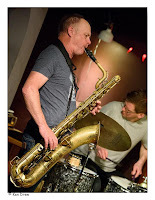 Our Man in Hong Kong, Colin, makes his annual pilgrimage to Tyneside next month where he will be heard with fellow Hong Kong bandmate Franco Vasulli (ten/clt) and Cumbria based Steve Andrews at Blaydon Jazz Club on July 5. Later in the week more of Ned Kelly's migrant musicians will be arriving and a session with the Vieux Carré Jazzmen is on the cards for July 9 at the Millstone (1pm) assuming the refurbishments are completed by then! No doubt the boys will pop up at other sessions too! 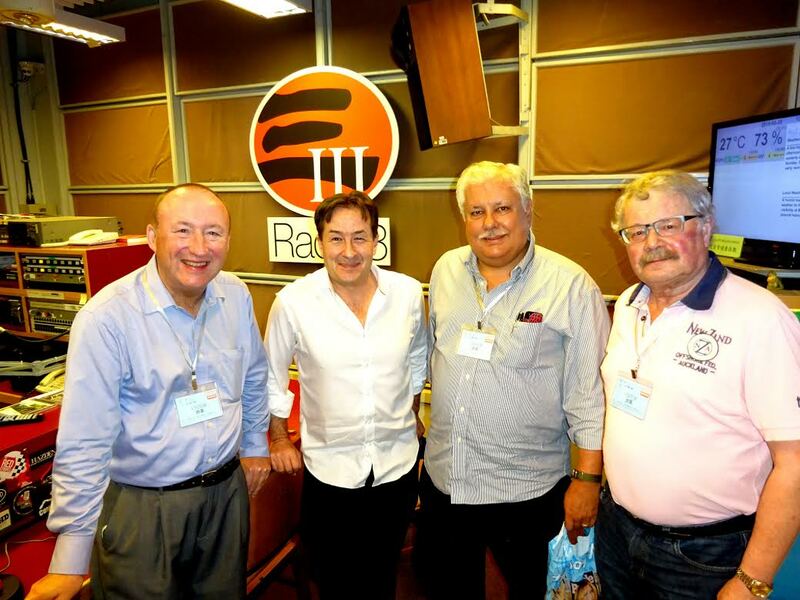 In the above photo Colin (far left) can be seen with Phil Whelan (RTHK Radio 3 Presenter), American trombone star, Dan Barrett & Flugel Horn player from Switzerland Hansueli Krähenbühl. Wayne Wallace (tmb/arr); Murray Low (pno); David Belove (bs); Colin Douglas (dms, perc, timbales); Michael Spiro (congas, bongos, perc, arr). + various guests. The press release that follows sums up this fine example of the current state of Jazz/Latin - and Cuba in particular - better than I could so I'm not going to attempt to try, except to say that it's not just a disc for Latin enthusiasts but that it would sit nicely in any trombonists' player. 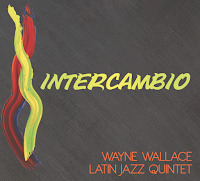 Given the current interest in Jazz/Latin combos (not least in the northeast) it's a disc well worth checking out - Lance. Gunter Schuller passed away yesterday (June 21). Horn player, composer, theorist, writer and guiding force behind Thirdstream music - his attempt to fuse jazz and classical music as one. He was also associated with Miles Davis' Birth of the Cool sessions. Gunter Schuller was 89. May he Rest In Peace. 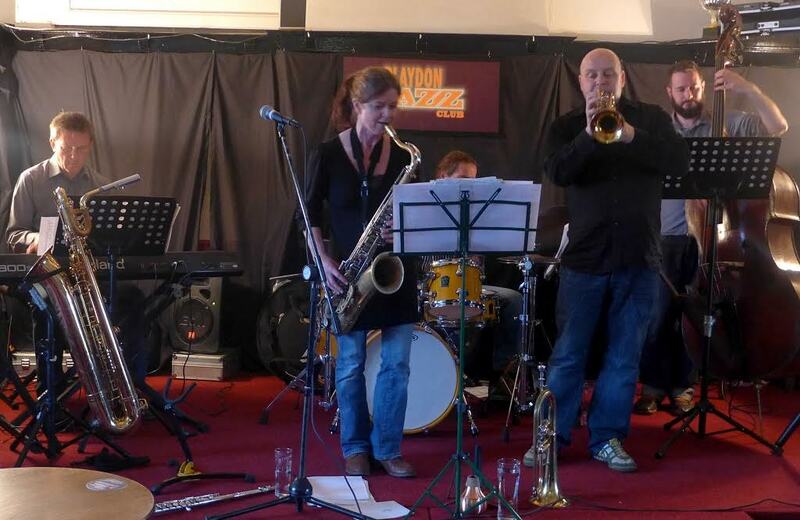 Blaydon Jazz Club invited Sue Ferris to bring in her quintet to play a gig at this year’s Blaydon Festival. The longest day was perhaps the coldest June day in living memory. Inclement weather didn’t deter the regulars and they were rewarded with a fine gig by Ferris and her top-notch band. Peri’s Scope set the pace ensuring the boys in the band were nicely warmed up. Ferris’ regular frontline partner Graham Hardy played plunger mute on Just Squeeze Me, Stu Collingwood and Ian Paterson soloed leaving the way clear for Ferris’ tenor to take it home. An early highlight – perhaps the highlight of the night – featured Hardy and an inspired Rob Walker rifling apposite accents on Monk’s Well, You Needn’t. The little-heard Wayne Shorter composition Look at the Birdie convinced some that the cartoon birdsong owed something to the golden age of Hollywood animators. What is there left to say about these guys? The adjectives in the Jazz Lexicon have long been exhausted so, until Mr Webster adds a few more to his dictionary, I'm tempted to cop out with Too Marvelous for Words. But that would be cheating and as this band doesn't cheat musically then neither shall I. A double-header tonight and intriguingly different music. 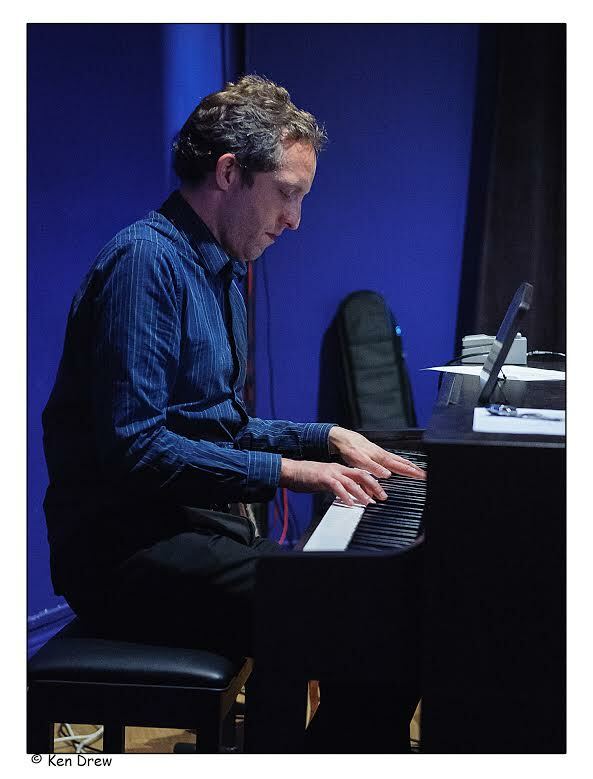 Paul Taylor played Clavinova, arguably, like it’s never been played before! 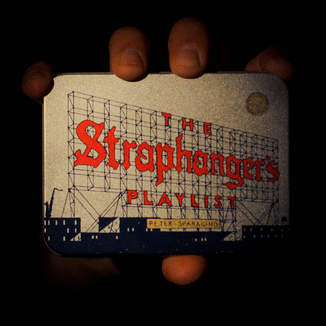 Music, completely improvised, but with help from a small electronic device on the top of the instrument. Forget the horrendous mismatched tones of some electronic music – this was lovely, mellifluous, flowing, sometimes concerto-like, echoes, bending notes, gentle reverb, musical-box effects, insistent riffs, some jazzy blue note phrases (did I hear bits of Summertime?). Very relaxing to listen to. Taylor did a good job, playing continuously throughout the first set. Try to catch Paul at your next opportunity. Continuing my 'trawl' through the Melody Makers I note that in June 1930 Albert Kendall and his Savannah Band were resident at the Oxford Galleries - the first time I've noticed their name on the Oxford Roll of Honour. Can anyone add further info? Also, much has been made on tv this week about the re-opening of the Dreamland Amusement Park in Margate. This same MM reveals that one Maurice Burman was leading the band at the Dreamland Ballroom. Drummer Maurice later went on to become a regular columnist for MM. Percy Bush [bandleader at Newcastle's Oxford Galleries] has recently enjoyed tremendous success as Conductor of Community Singing in conjunction with Newcastle United's home football matches. Now Newcastle were the old First Division Champions that season [1926/27] so maybe they don't need a new manager but a new conductor! PPS: Sunderland finished third and Middlesbrough were Division 2 champions - I wonder who their bandleaders were? Meanwhile, down near the bottom of Divisions 2 and 3 (North) were Ashington, Darlington, Durham City, Hartlepools United and South Shields - presumably they didn't have an MD! Nick Gould (ten); Steve Grossart (pno); John Hay (bs gtr); Kevin Dorrian (dms). Is Newcastle a jazz city? On the evidence of recent gigs I'm beginning to wonder. Last Saturday the Brian Molley Quartet drove down from Glasgow to play at the Globe. Last night, at "The Caff", JazzMain came down from Edinburgh. Both bands were excellent. Both audiences were prominent by their absence, only just reaching double figures on each occasion. Where were the 'fans' who pack out the fortnightly jams? Where are the students who attend the various instrumental courses peppered around the city? The hordes who attend the various festivals? Of course, they're at the Town Moor! All the fun of the fair - The Hoppings instead of the Boppings at the Pink Lane Jazzerie! Whirlwind, psychedelic, free jazz of the highest order. A captivating hypnotic explosion of sound from start to finish! All four seemed to play in unison at 100mph whilst still managing to allow the audience to pick out the outstanding individual solos. Wilkinson seamlessly alternating between bass clarinet, alto and baritone saxes produced extravagant, passionate, solos sometimes wild, sometimes melodious. Hoyer on bass was like a swashbuckling musical musketeer brandishing his bow like a rapier as he attacked the bass. Knedal never stopped driving the band with his relentless drumming and Johanneson augmented everything going on around him with ever so subtle nuanced effects on guitar. Stop This World. Its lunchtime and Mo Scott is singing. Lots of people stopped what they were doing (finishing work early, forsaking a Friday shopping ritual) to hear Mo sing the blues. Billie Holiday, Muddy Waters, the Empress of the Blues Bewitched, Bothered and Bewildered an adoring Lit & Phil crowd. 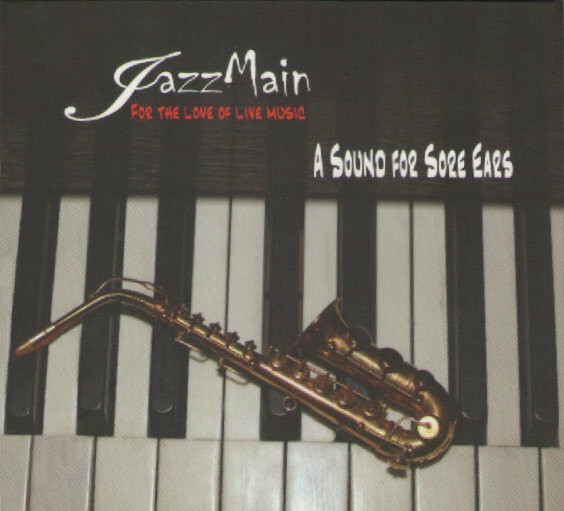 Fever, some Ellington – Don’t Get Around Much Anymore and Do Nothing Til You Hear From Me – and a stupendous take on Tell Me More and More and Then Some More. Paul Edis and Neil Harland worked empathetically with Scott, bassist Harland a long-time foil. Jazz North is pleased to announce the appointment of Lesley Jackson as Executive Director from September 2015. This is a new position for Jazz North, the Northern jazz development agency established in 2012, as it changes from being a project funded organisation to become an Arts Council England National Portfolio Organisation (NPO). 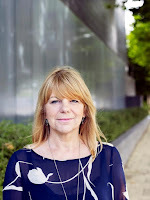 As Executive Director, Lesley will provide strategic leadership and ensure delivery of Jazz North’s 5 year Business Plan. The Executive Director will take overall responsibility for the successful delivery of Jazz North’s fundraising, business development, finances, communications, HR, organisational management and legal compliance. 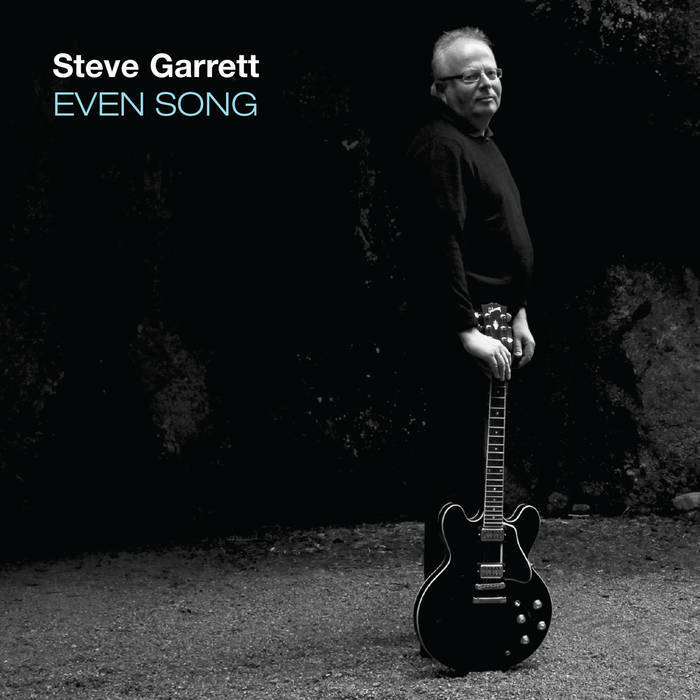 I'm not really qualified to pass judgement on this debut solo album from a much travelled guitarist, born in London and now nesting in Scotland. 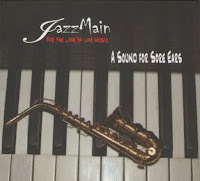 The influences are many, absorbing aspects of jazz, folk, rock and even choral music. 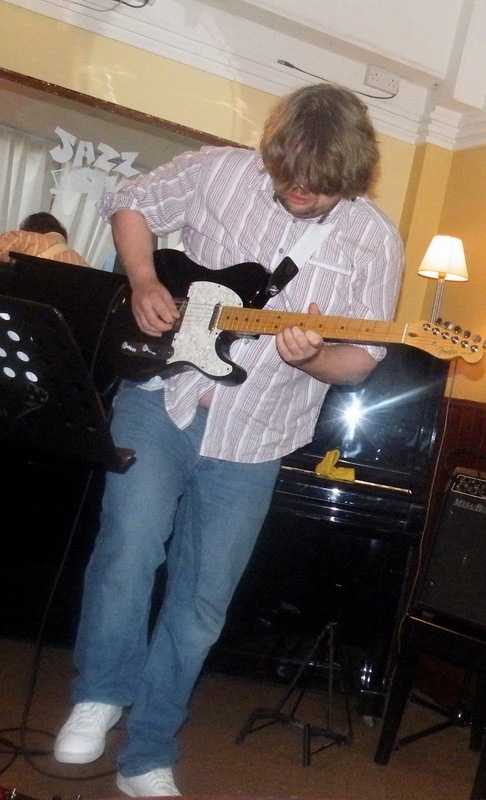 Although played, I think, on a Gibson 335 the instrument could easily have been a classical guitar or even a lute. 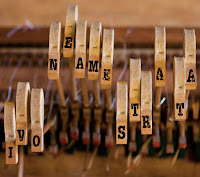 The sound, at times, seems more relevant to a harpsichord. 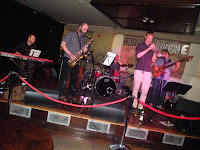 Sunday Afternoon at Hoochie - SSBB - don't miss it! This is our first visit to Hoochie Coochie for 2015 and this month we're playing on Fathers Day. With tickets at a mere £5 its the perfect way to round off your day with dad! We have three amazing vocalists with us on Sunday (Lindsay Hannon, F'reeze and James Hedley) with the rest of our amazing 20 piece big band in tow. 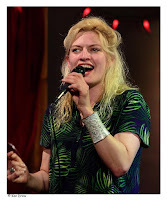 The Claire Kelly gig at the Globe was listed in error as being tonight when in actual fact it is JULY 18. Apologies for any inconvenience caused - Lance. Tomorrow lunchtime, Friday 19, Mo Scott, Empress of the Blues, sings jazz and blues in the company of long-time musical associate Neil Harland (bass) and pianist Paul Edis. In the intimate confines of the Loftus Room at the Lit & Phil this will be a rare opportunity to hear Scott up close and personal. No one sings the blues quite like Mo – you believe it when she tells you how it is. Bassist Neil Harland is her ideal accompanist; years of gigs makes theirs an instinctive partnership, talking, walking bass lines conversing with Scott. 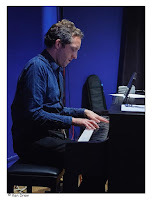 Paul Edis has recently established a working relationship with the vocalist – playing as a duo – and this lunchtime meeting is likely to dip into the jazz repertoire as well as Scott’s natural oeuvre of the blues. The Lit & Phil’s monthly concert series continues to attract a large following. To be sure of a seat, arrive in good time for the one o’clock start. Pay on the door (£4.00. ), get yourself a tea or coffee, or something a little stronger, and enjoy the one hour set of classic jazz and blues from the Empress of the Blues – Mo Scott. Jazz Café Jam Session - June 16. Mark Williams, Bradley Johnston (gtrs); Paul Grainger (bs); Paul Wight (dms) + Paul Gowland (alt); Stuart Finden (ten); Joe Fowler (tmb/vcl); Dan? (gtr); Andrew Porritt (bs); Dimi, Matt MacKellar, Eric Stutt, Ian Forbes (dms); Dawn Furness (pno/vcl). Even without the guiding hand of Peter Gilligan this was another cracking night at 'The Caff' with Mark Williams steering the ship in the absence of Pete G.
It began sedately enough with a tasty I'll Be Seeing You by Mark and a couple of the Pauls (Grainger and Wight) that drew the type of polite applause that usually follows a shot through the covers at the Oval - "Oh well played sir". 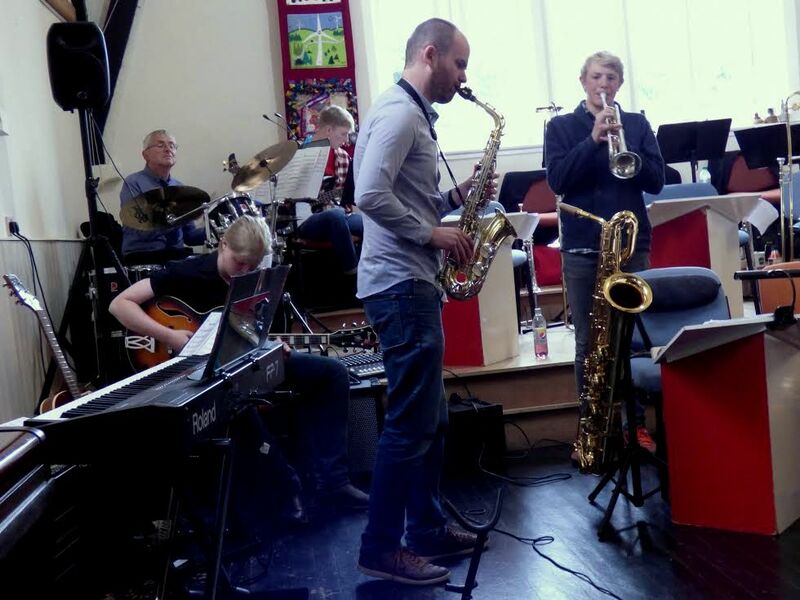 We will be holding one of our regular Phoenix Summer Jazz Nights on Thursday, featuring Tyne Valley Youth Jazz Ensemble, Tyne Valley Youth Big Band and Tyne Valley Big Band. 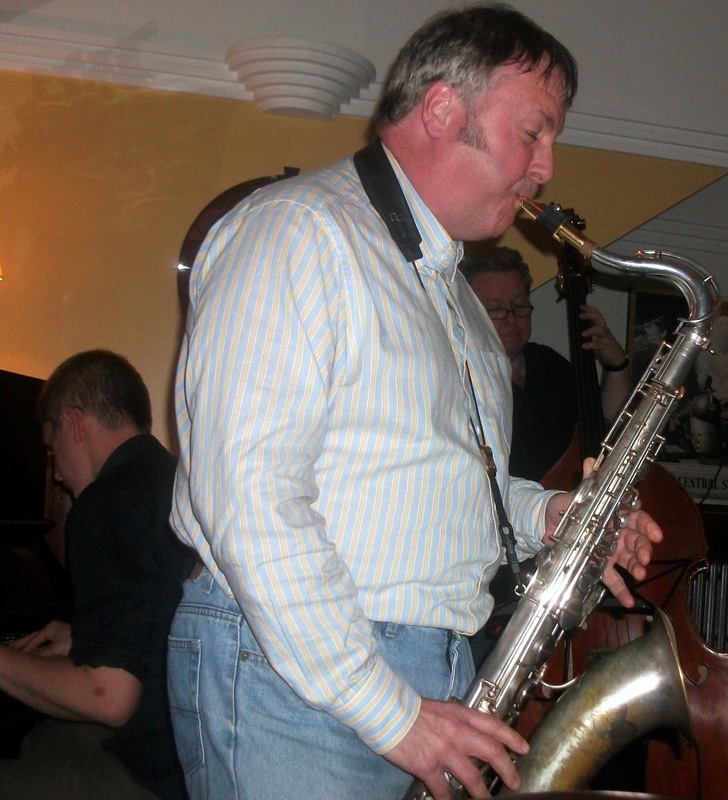 Spend an entertaining evening in the company of three wonderful jazz groups, all led by the inimitable and energetic Dave Hignett. Junior band start at 6pm, Youth Band at 7pm & TVBB 8pm. This evening will dedicated to the memory of John Myers who was an inspiration to so many musicians young and old alike. He was a dear friend to us and is missed by many. A retiring collection will be taken and donated to charities of his family's choice. We also open the Saturday afternoon session at the Tynedale Beer Festival Corbridge on Saturday 1pm till 3pm. 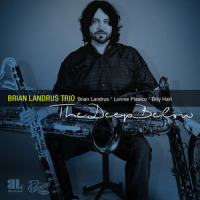 CD Review: Brian Landrus Trio - The Deep Below. Brian Landrus (bar/bs sax/bs clt/bs fl); Lonnie Plaxico (bs); Billy Hart (dms). As the title and the above listing implies this is all about the bass. Not just the double bass, brilliantly played here by Plaxico, but, in the main, Landrus' armory of lower pitched instruments. Baritone sax on 6 tracks, bass clarinet on 5, bass flute on 2 and bass sax on 1. He excels on all although the bass saxophone seemed to pose the greatest challenge - he came through bloodied but unbowed. Sue Ferris is one of the region's finest jazz musicians, a master of saxophone and flute. 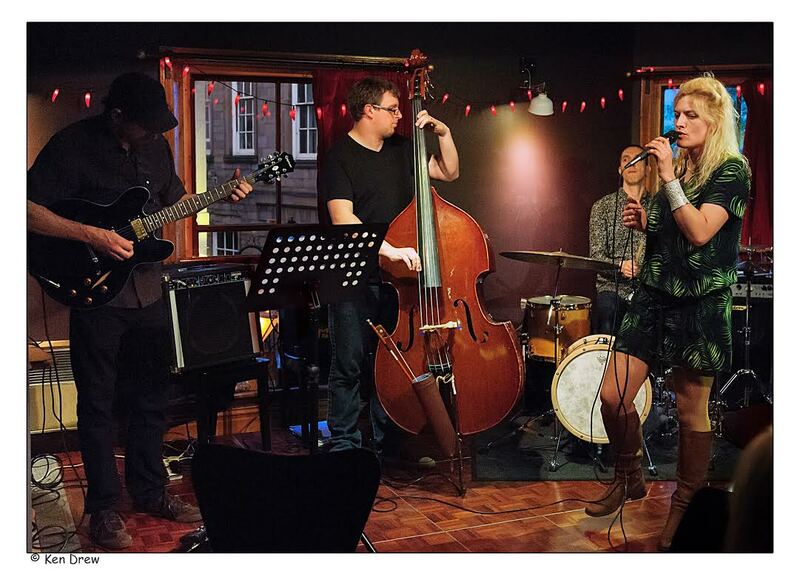 She brings her acclaimed quintet for the first time to Blaydon. Sax/Trumpet front line with piano/bass/drums rhythm section. 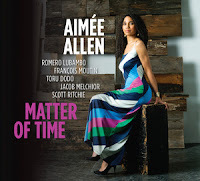 CD Review: Aimée Allen - Matter of Time. Aimée Allen – vocal, Romero Lubambo – guitar, Toru Dodo –piano & Fender Rhodes, Francois Moutin - bass, Jacob Melchior – drums, Scott Ritchie – bass . ‘Matter of Time’ is New York chanteuse Aimée Allen’s fourth CD, and brings together her Latin-steeped repertoire of jazz standards with some original compositions. She collaborated with some fine musicians in this project, including Brazilian guitar maestro Romero Lubambo , who has previously recorded with artists such as Dianne Reeves, Astrud Gilberto, & Al Jarreau. 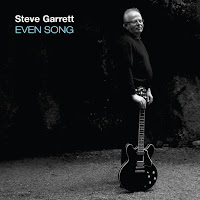 He features in the title track & in 3 duets, notably Jobim’s ‘Corcovado’. Sunday afternoons at the Vermont Hotel are the preserve of the solo pianist. This week Alix Shepherd entertained guests in the Redwood Bar with a selection of familiar tunes performed in a suitably relaxed manner in the quiet, dark wood surroundings off Castle Garth in the shadow of Castle Keep. David Carnegie brought his Barbados/Edinburgh quintet here last month, Kurt Elling brought the SNJO to Sage Gateshead, last weekend the Brian Molley Quartet came down from Glasgow to play at the Globe, I've got a superb SNJO CD (without Elling but with Mozart) awaiting review and now JazzMain are marching up Carter Bar preparatory to invading The Caff - is this the SNP exporting (or deporting) jazz? 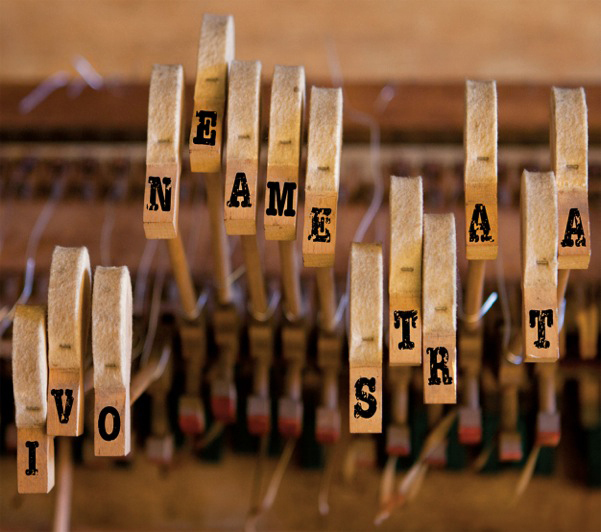 CD Review: Ivo Neame - Strata. Ivo Neame (pno, Acc, synth); Jim Hart (vbs); Tori Freestone (ten, fl); Tom Farmer (bs); Andrea Di Biase (bs); Dave Hamblett (dms). 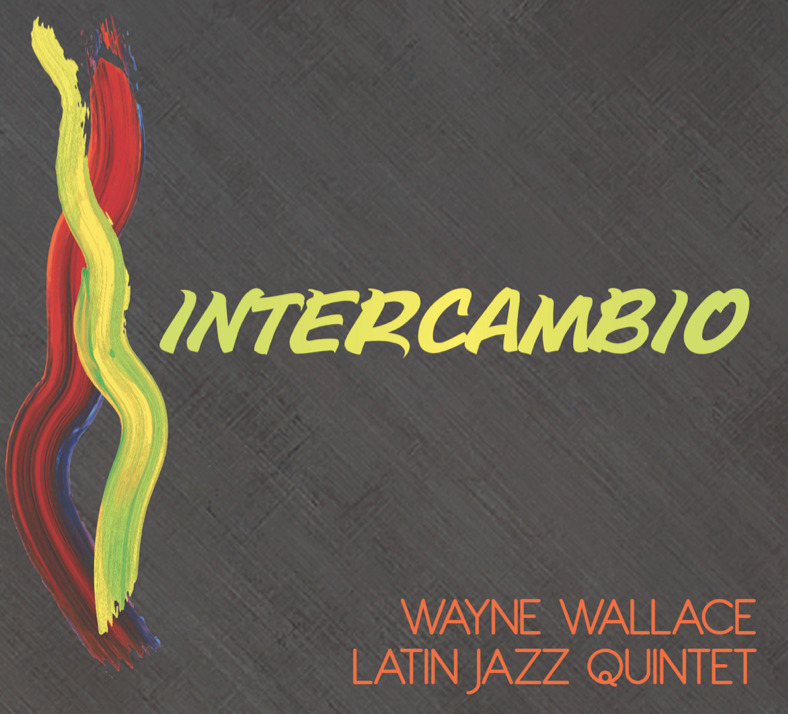 A highly enjoyable album of original compositions from the Ivo Neame Quintet. Neame, known for his work with Phronesis and Kairos 4Tet has gathered together an impressive ensemble to interpret his complex and original material. The compositions often start in one direction and then seem to take off tangentially to another. Westgate Hill; Excuse me. Could you tell me where I can find Summerhill Bowling Club? Ah! You’re going to Vamos! (Kid Creole the attraction!). Turn right and follow the noise. The spell of fine weather broke late afternoon. Newcastle’s party animals were out on the town. Hens and stags partied (high-heeled giraffes, rhinos, Roman togas), the well-heeled sought a pre-theatre al fresco option, the discerning drinker was on the CAMRA trail, the non-discerning (seven abreast, less the ‘good’, more like the ‘bad’ and ‘ugly’) fixed their steely gaze on the next boozer (any boozer) up ahead. And then there was jazz, jazz, jazz. The Vamos! event had its share of coconut wearing/shaking jazzers making a buck, Scots descended on the Globe for some serious jazz, Zoe and Stu played seriously good stuff in the Vermont and then there was Matt Anderson and Paul Edis. Brian Molley (ten/sop/clt); Tom Gibbs (pno); Mario Calibe (bs, uke); Stuart Brown (dms). From the opening bars of Get Happy, the chosen few - and we did feel privileged - knew that there was an evening of musical delight ahead. So what that some folks had opted for Kid Creole and the Coconuts at the Bowling Club, Mrs Brown's Boys at the Arena or Matt [Anderson] and Paul [Edis] at the Jazz Café instead of the swingingest band this side of New York (a situation soon to be changed as BMQ are off to NY to play the Rochester International Jazz Festival next Sunday as well as a couple of other Big Apple gigs)? We knew who'd got the best deal! The Customs House Big Band with Ruth Lambert Supported by The Early Bird Band. @ St. Cuthbert’s Parish Centre, Crook. Friday June 12. I put a dent in my car tonight and swore profusely (the other car had ne’er a scratch!) which is why we arrived late and missed most of the numbers performed by The Early Bird Band! We did get to Meet the Flintstones though – enough to illustrate the talent and burgeoning confidence of the three young musicians playing (aided and abetted by Paul Edis and Barry Black): Ben Lawrence (trumpet), Dan Lawrence (bass) and Francis Tulip (guitar). Expect to hear more of these guys in the future! 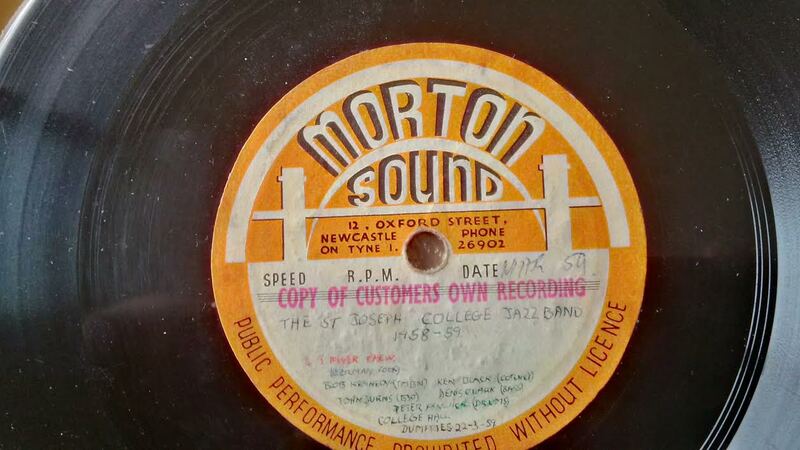 Info wanted on St. Joseph's College Jazz Band - 1958. On my usual trip to the local charity shop, I have a good rummage through the boxes of vinyl. It’s usually hit and miss when I go through the 7" box, especially when I haven’t got my glasses with me. On this last visit I picked up a single as I didn’t recognise the label, and the weight of the single was unusually heavy. 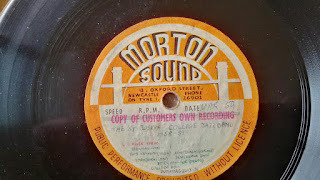 On closer inspection, the label has a Morton Sound logo proudly straddling the Tyne Bridge and I think it must be acetate as it’s aluminium with a thin coating of nitrocellulose lacquer that has the sound groove, from the master tape, cut into it. Southern correspondent Tony Eales brings news of an offer jazz musicians could well wish to snap up. The Empty Shop on Framwellgate Bridge in the city of Durham is a disused shop. It stands empty much of the time, then, to those in the know, it becomes Durham’s quirky speakeasy; floorboards, paint-splattered tables with a bottle bar. The venue is looking to put on more jazz gigs. It’s a small room. It gets busy. Visit Empty Shops’s website for further details: www.emptyshop.org. Eddie Bellis’ eight piece band gigs infrequently, band members are forever juggling other gigs. The Jazz Café offered a date well in advance and on a sultry summer evening Bellis and co played two sets to an enthusiastic gathering. Doors and windows open, the bar too, drummer Paul Wight brushed a path for a classy Blues Walk. No matter how often a well known tune is heard, if it’s played lovingly, with commitment, then you’re at a good gig. This Saturday and next Friday, at the Globe and the Jazz Café respectfully, sees gigs by two superb Scottish based bands. 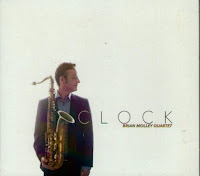 On Saturday (July 13), The Brian Molley Quartet come down from Glasgow to play The Globe and on Friday (June 19) JazzMain travel from Edinburgh to "The Caff". Molley's CD - The Clock was one of my top albums of 2013 and JazzMain's album - A Sound For Sore Ears was April's CD of the Month. 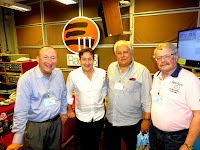 Richard Burns (tpt); Gary Turner (ten); Paul Edis (keys); Paul Susans (bs gtr); Rob Walker (dms). 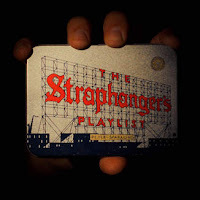 Jazz has all those wonderful train songs - A Train; 9:20 Special: Midnight and Chattanooga Choo Choos; Happy Go Lucky Local; Night Train - there's probably been more trains captured on manuscript than you could find in a 1938 edition of Bradshaw's. But, what about the bus? How many of the great tunesmiths have used the humble omnibus as, not only an affordable form of transport, but as a vehicle for their compositional skills? Apart from a twee effort by Flanders and Swann - A Transport of Delight - some years ago, I can't think of any - until last night that is. 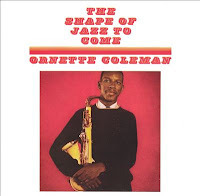 Sad to announce the death of Ornette Coleman today (June 11), aged 85, of a cardiac arrest at his Manhattan home. One of jazz's most controversial figures his early work opened the door for many of the avante garde/free form musicians who followed in his wake. It took a long time for the establishment - myself included - to come to terms with his wild abstract, sometimes fragmental, alto playing. It was only when I listened again to The Shape of Jazz to Come; Change of the Century; Free Jazz and other early albums that I finally made the break through. An innovator of the first order. PS: Thanks to Russell and Peter Bevan drawing this sad occasion to my attention. On Saturday 11th of July, Ronnie Scott's will be holding a Music Instrument Amnesty to collect unused music instruments and donating them to school aged children in the UK and overseas. The amnesty is organized in association with Sistema England and Music Fund. Donated instruments will be sent to children whose access to music education has been compromised due to their social situation and/or geographical location through one of Ronnie Scott’s two partners. "Easy listening" king, James Last, died on Tuesday (June 9). Perhaps the must successful big band leader of all time selling millions of albums. Although I wouldn't claim to be a fan I appreciated his marketability and, when he played Newcastle City Hall, which he did regularly his musicians would invariably drop by the Central Arcade emporium where I worked and were always good fun and, naturally, top notch musicians. Many were also excellent jazzmen as I discovered when they were trying out instruments in the store. James Last was 86 and will be remembered and missed by many. Volunteers Wanted For Jazz Coop! 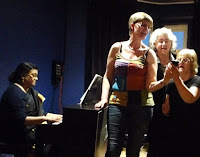 The Jazz Coop now has an established programme of regular gigs, jam sessions, classes & workshops at The Globe, most of which are organised & supported by a committed & enthusiastic group of volunteers. Helping out at events is great fun, and volunteers get free entry & a complimentary drink! We would like to recruit a small number of extra volunteers to help support events. Potential duties include setting up, taking door money, & running the bar. Help with managing sound equipment is also required, & this can be combined with other duties. Training will be provided. You do not need to be a Jazz Coop member - although this is encouraged! – in fact this is an opportunity for those who are unable to invest financially, to support the Coop in other ways. Volunteers would need to be available to help at events once every 6-8 weeks. Colin Aitchison sent this clip of the wedding celebrations of clarinettist Franco Valussi and Mei Mei. Franco impressed when he came over with Colin last year and they're back next month at Blaydon on July 5 and other sessions around town. Durham Brass Festival Program: July 16-19. Click on here for details of this year's Durham Brass Festival. Peter Sparacino (saxes); Jay Jennings (tpt/flug); Aki Ishiguro (gtr); Isamu McGregor (keys); Panagiotis Andreou (bs); Mauricio Zotarelli (dms). Let me first explain the technology and the reasoning behind this new format - better still, maybe someone can explain it to me! By and large, this is the latest innovation that began with the cylinder and moved through shellac, vinyl, cassette, CD, mini disc and MP3 to this - the Flash Drive! Alan Benzie (pno/comp); Andrew Robb (bs); Marton Juhasz (dms). Not your usual piano trio album - far from it. If anything, it borders almost as much on contemporary classical music as it does jazz. Almost, but not quite. 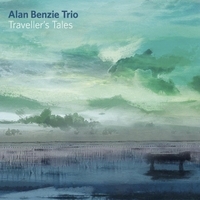 The improvisation is there, the touch delicate and probing - as becomes the 2007 Young Scottish Musician of the Year - painting a musical picture of Benzie's travels be they in Scotland or Japan. (Review by Ann Alex/Photos by Liza Robson). The Jazz Co-op’s third venture into a jazz and folk evening was rather surreal but very enjoyable. Much of the evening was in fact enhanced by the presence of singer/songwriters – 6 or so such people came after their songwriting class at Newcastle College. The songs were of a high standard, mostly sad songs of lost love, so thank you Liza, Joanne, and Sandy Comet and The Winklepickers. Pardon me boy, is this the Jazz 'n' Real Ale Train? Yes! 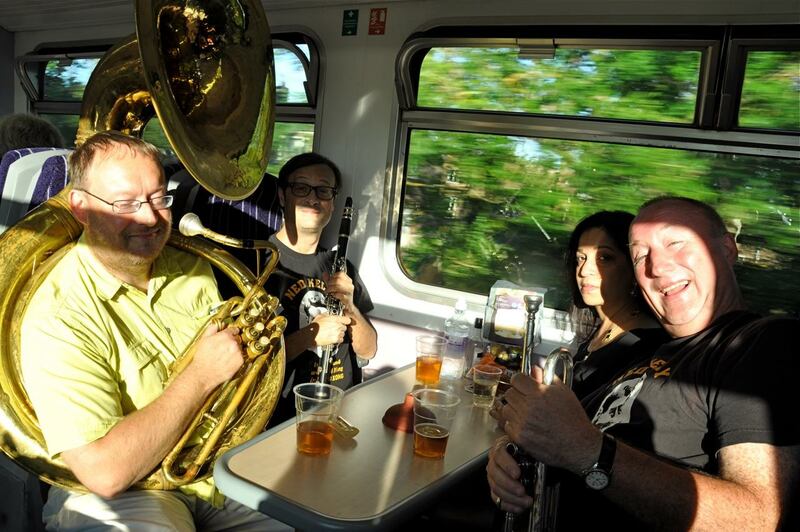 It's the first Jazz 'n' Real Ale Train of 2015 this Wednesday afternoon (10 June). 20's Jazz by The Vieux Carré Hot 4 and Real Ale Bar courtesy of High House Farm Brewery. Music will commence immediately after departure from NEWCASTLE CENTRAL STATION - Real Ale bar opens on arrival at Hexham Station. The jazz train is the 12.22pm NEWCASTLE to CARLISLE service calling at Metro Centre; Blaydon; Wylam; Prudhoe; Stocksfield; Riding Mill; Corbridge; Hexham; Haydon Bridge; Bardon Mill; Haltwhisle; Brampton; Wetheral; CARLISLE (departs 2.36pm). 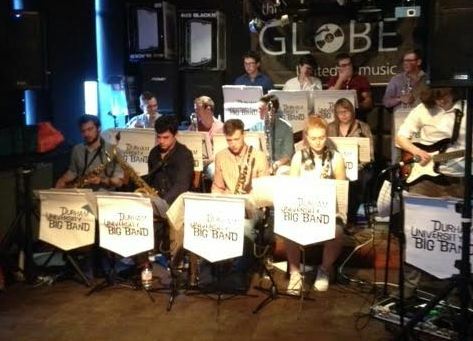 Durham University Big Band @ the Globe Jazz Bar, Newcastle. Woody Herman's Apple Honey got the show on the road - it was 7pm, The advertised 6pm turned out to be doors. Nobody seemed to know in advance what time the actual gig would kick off. The band didn't, the Jazz Coop members didn't and neither did the audience, the majority of whom had arrived circa 6pm! Nevertheless, Apple Honey is a guaranteed icebreaker and when DUBB hit the deck running all thoughts of lynching the Coop PR team vanished! Ashington Jazz Festival - Strictly Smokin' Big Band @ Ashington YMCA June 6. 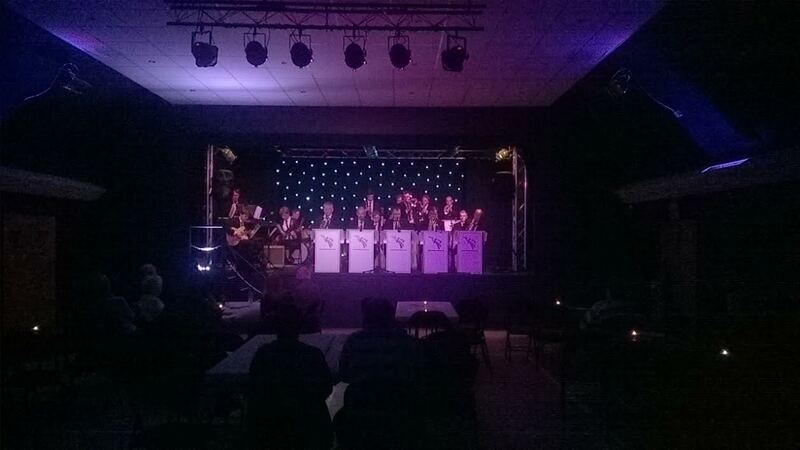 The final event celebrating thirty years of the Ashington Jazz Club took place at the refurbished Y.M.C.A. with a concert by the Strictly Smokin’ Big Band. The Band played many excellent arrangements throughout the evening and the building was definitely "Rockin' in Rhythm". An excited company responded with rapturous applause expressing their appreciation of this fine collection of north east musicians. The downside of the evening was sadly the attendance which fell far short of our expectations and gave us concerns. Having advertised and made public the event through posters, local papers, radio and internet we were unfortunately unable to draw in the number of customers which this venue and this Band deserved. CD Review: Maria Schneider Orchestra – The Thompson Fields. 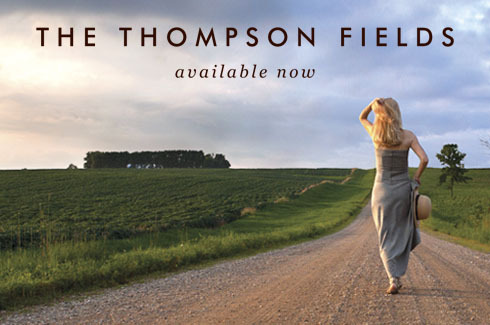 The Thompson Fields is Maria Schneider’s eighth production for the ArtistShare label and she has certainly come a long way in her career since she worked as Gil Evans’ Assistant in the mid 80s. She is an extremely talented composer who is a master of harmony, and a formidable arranger who fully utilises all the tone - colours provided by her nineteen piece Big Band with all the usual Reeds, Brass, and Rhythm sections but without recourse to electronic instruments as Gil himself did in his latter years. Ashington Jazz Festival: Paul Skerritt Band. CD Review: Terell Stafford - Brotherlee Love. Jazz Café Jam - June 2.